Located in the heart of Bilston our new training centre is easily accessible via public transport. The centre has a number of light and airy classrooms equipped with ICT, smart boards and plasma screens. Whether you want to advance your career, expand your mind or simply explore a new interest, Nova Training is here to support you with Qualifications, Vocational Courses and Careers Advice. 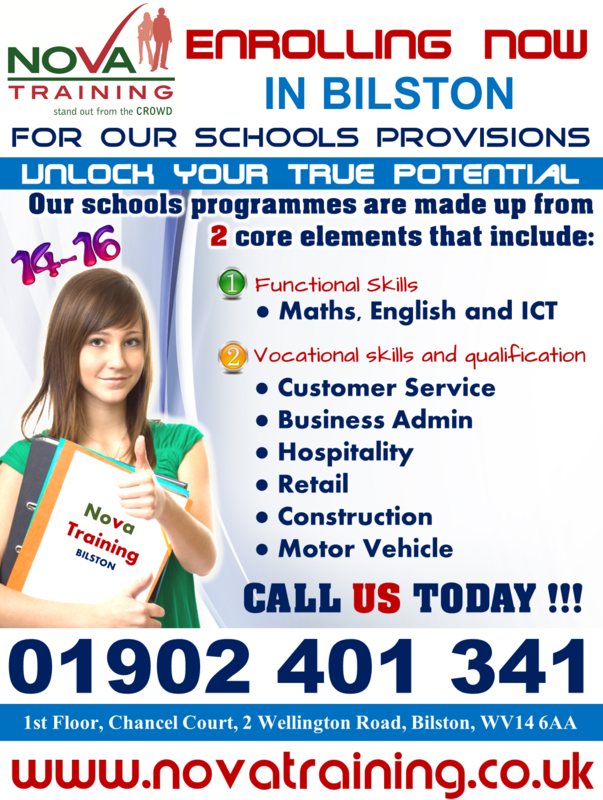 We at Nova are focused on developing young peoples vocational skills and deliver programmes in bricklaying, carpentry, painting and decorating, plastering, plumbing, vehicle maintenance and repair, vehicle body repair and paint, hair and beauty, warehousing, retail, customer service, business administration, sales and hospitality.